With adoption of its first strategic plan in 2012, the University embraced three basic tenets developed to describe its identity and provide guideposts for the future. In 2016, as the University launches The Gold Standard 2020, a refined and expanded five-year version of its strategic plan, those three tenets remain at the very core of all that WMU is and aspires to be. The University is learner centered, discovery driven, and globally engaged. Every goal that it sets and every challenge it tackles is intended to maintain and enhance those three tenets. The Gold Standard 2020 is a planning tool for the future that is premised on that basic understanding. As a premier, comprehensive, public research University, WMU will use this plan to recruit and nurture talented minds wherever they will be found. The University strives to add value to the lives of its learners and continuously improve the quality of its programming to meet the needs and expectations of the communities it serves. The strategic plan reflects a campus-wide commitment to academic rigor, service, inclusivity, collaboration, economic development, sustainability and good stewardship of institutional resources. As an extension of the original Gold Standard, the Gold Standard 2020 is an affirmation of the University community’s commitment to the values of shared governance, transparent and timely communication, and accountable and responsible behavior within an ethical, compassionate, diverse and respectful environment. Western Michigan University has embraced the challenge of strategic planning to ensure that it will be a premier educational environment that provides opportunity for a diverse and globally representative community of learners. Those learners will be part of a setting in which discovery and innovation are used to enhance the economic vitality of the communities served and make the world a better and more hospitable place. Western Michigan University is a learner-centered, research university, building intellectual inquiry and discovery into undergraduate, graduate, and professional programs in a way that fosters knowledge and innovation, and transforms wisdom into action. As a public university, WMU provides leadership in teaching, research, learning, and service, and is committed to enhancing the future of our global citizenry. Nationally and internationally recognized, the University aspires to distinguish itself as learner centered, discovery driven, and globally engaged. Western Michigan University is a university where every member of our community is responsive to and responsible for the education of our students. We challenge and engage all members of our community with a university experience that creates skilled, life-long learners. Western Michigan University offers experiences that enable discovery, and promote creativity and research. We are committed to pursuing inquiry, disseminating knowledge, and fostering critical thinking that encourages life-long learning. Our scholarship creates new knowledge, forms a basis for innovative solutions, leads to economic development, and makes substantial contributions to society. Western Michigan University impacts the globe positively. We are a community of learners committed to human dignity, sustainability, social responsibility, and justice. Our campus embraces a diverse population of students, faculty and staff who develop learners and leaders who are locally oriented and globally competent, culturally aware and ready to contribute to world knowledge and discovery. The University Strategic Plan guides the way for the next five years and allows time for meaningful institutional goals to be achieved. Developing the goals, objectives and strategies that will serve the University community both now and in the future, demands that the University undertake honest, thorough and ongoing examinations of the challenges and risks the institution faces. This strategic plan acknowledges that both risk and opportunity must be balanced, assessed and reassessed and includes the mechanisms to meet those demands. Both risks and opportunities must be prioritized as time passes, and resources must be allocated according to that prioritization. Objectives and strategies have annual benchmarks to measure progress and allow for responsiveness to internal and external changes impacting WMU. Institutional Effectiveness Measures will be used to monitor critical University functions, as well as provide evaluation for continuous quality improvement throughout the Strategic Plan’s implementation and resource allocation processes. Upon formal adoption of the strategic plan by the University’s Board of Trustees, the document will become Western Michigan University’s roadmap into the future. Annual monitoring to ensure benchmarks are met will take place. Each unit and vice presidential area are expected to integrate the goals and objectives of the strategic plan into daily work. Goal #1: Ensure a distinctive and supportive learning experience that fosters success. WMU fosters learners who are critical thinkers, knowledge expanders, and solution providers. WMU students are provided a broad range of learning opportunities in a respectful, healthy and safe living-learning environment focused on student success. Curricular and co-curricular opportunities encourage engagement, prepare learners for the globalized world, and enhance student retention and degree completion. Each learner is encouraged to synthesize and translate WMU experiences into a unique Signature defining who they are as learners, professionals, leaders and globally engaged citizens. Objective 1.1: A learner-centered culture maximizes student retention and degree completion. Objective 1.2: The learning experience prioritizes critical thinking, application, and experiential learning. Objective 1.3: Learning experiences are heightened through innovative and responsive co-curricular learning opportunities. Objective 1.4: International learning experiences prepare all learners for the globalized world. Objective 1.5: University community advances and sustains a respectful, healthy, and safe campus. Objective 1.6: The student living-learning environment enhances learning, personal development, and engagement in campus communities. Goal #2: Promote innovative learning, discovery, and service. WMU pursues academic excellence through innovative approaches to learning, discovery, and service. WMU embraces collaboration and leverages resources to offer academic programs that are responsive to the needs of all students and society. A distinguished faculty and support staff offer high quality curricula in graduate and undergraduate education. Instruction is delivered through high-impact practices in learning platforms that meet the needs of contemporary learners. Objective 2.1: WMU’s academic programs respond to student and global needs through innovative, high quality curricula. Objective 2.2: The strategic hiring and retention of a distinguished faculty and staff ensures academic excellence, enhances innovation in discovery and pedagogy, and elevates the University’s stature. Objective 2.3: Academic excellence will be maintained through the execution of best practices. Objective 2.4 WMU will be positioned as leader in quality graduate education. Objective 2.5: The delivery of learning platforms and locations reflect the breadth and diversity of enrollment that is supportive of the University’s mission and strategic goals. Objective 2.6: Faculty research, scholarship, and creative activities enhance innovative teaching and discovery. Goal #3: Progress as a Carnigie-classified higher ressearch doctoral university that advances new knowledge and value-added discovery. WMU is flexible and responsive to the ever-changing demands of the world. To meet the needs of society, WMU investigates, develops, and produces new knowledge; contributes to technological and economic advancement; and elevates the human condition through community outreach and engaged scholarship. Objective 3.1: WMU strengthens its position as a Doctoral University: Higher Research Activity in accordance with Carnegie Classification criteria. Objective 3.2: WMU’s strengths in research and engaged scholarship create mutually beneficial partnerships that impact significant scientific, economic, and social problems. Objective 3.3: WMU’s outreach is attentive to local and world needs. Goal #4: Promote a diverse, equitable, and inclusive University culture to ensure social sustainability and accessibility. WMU cultivates a diverse and inclusive community that recognizes the value of each individual and helps ensure civility and respect for all people. In doing so, WMU embraces diversity as a community value in which all stakeholders are prepared to understand the complexity of issues and perspectives needed to offer solutions to world challenges. A system of accountability and purposeful institutional reflection will promote a high level of social sustainability. Objective 4.1: A system of continuous accountability and evaluation contributes to a culture of inclusive excellence. Objective 4.2: A diverse student, faculty, and staff population enriches the learning and working environment. Objective 4.3: WMU models a welcoming, accessible, and supportive university culture. Objective 4.4: WMU advances as a viable setting for social sustainability. Goal #5: Advance economic and environmental sustainability practices and policies. WMU supports a culture of sustainability by modeling practices and policies that result in increased flexibility to respond to economic and environmental challenges. Allocation of resources will be transparent and in accordance with strategic planning priorities creating stability across funding cycles, respecting the individual needs of all students and employees, reducing our environmental footprint, and relying on evaluation and accountability to ensure continuous improvement. A robust communication system will effectively promote the University distinctive mission to enhance marketing, advocacy and investment in WMU. Objective 5.1: WMU continues to be a leader in responsible utilization of financial and human resource management, process, and deployment. Objective 5.2: WMU utilizes available financial strategies to optimize enrollment management. Objective 5.3: WMU is a national leader in achieving environmental sustainability. Objective 5.4: Effective marketing and communication promotes the University’s distinctive mission. Operationalize and integrate evidence-based retention practices to increase first-year student retention. Develop advising and retention efforts appropriate to the needs of sophomore, junior, and transfer students. Improve support programming to help students with varying levels of academic preparation. Enhance training to help WMU employees recognize how their roles can/do support student success. Develop and operationalize best practices that promote persistence and degree completion of graduate students. Coordinate and promote off-campus, non-classroom, internship, and service-learning opportunities for all students. Enhance career preparation services and provide more opportunities for professional development to boost post-graduation student success. Use the development and articulation of learning outcomes in training and mentoring student employees to further their workforce readiness. Promote greater involvement of undergraduate and graduate students in research and creative activities. Develop and implement the Signature Designation to support student engagement and distinction. Continue implementation and development of programming to increase student financial literacy. Facilitate participation in benefit-supported learning opportunities for all employees. Increase feasibility of broad-based participation in study abroad programs and other globally focused learning opportunities. Implement the faculty-adopted internationalize education initiative. Provide enhanced living-learning support for the growing number of international students at WMU. Increase recruitment of University employees with international experience and expertise. Facilitate intercultural understanding through greater interaction between domestic and international students. Implement proactive outreach and intervention programs to enhance mental health and physical well-being of all students, faculty, and staff. Promote collegiality through greater inter- and intra-departmental collaboration. Implement recommendations from the Title IX Sexual Misconduct and Safety Survey to ensure a safe and supportive environment for all stakeholders. Reinforce campus safety through informed modification in University policies and physical environment. Revitalize University facilities to enhance informal space for student learning, personal development, and interaction with others. Plan for a self-sustaining, award-winning student center known for its vibrancy, responsiveness, and aesthetic appeal. Renovate aging facilities to create neighborhood environments that add value to the University experience. Support and develop a championship athletic culture that promotes institutional pride and community connectedness, and also enhances the University experience for all stakeholders. Increase flexibility within the curriculum development process to better respond to a rapidly changing world. Revise general education curricula to respond to the needs of the 21st century student. Develop and utilize University-wide student learning outcomes for University planning and assessment. Develop stronger connections across colleges and among external constituents to facilitate interdisciplinary opportunities. Identify and support growth in the number of programs that achieve national or international distinction. Promote academic excellence and innovative discovery through strategic investment in personnel. Structure and align technology and operations to advance information resources and pedagogical innovations. Support and recognize faculty and staff engagement in their professional disciplines. Develop an operational succession plan for faculty, staff, and administrators. Increase systematic assessment of student learning for continuous improvement of curricula. Create and sustain a culture that supports the use of high impact practices for instruction in all academic units. Enhance opportunities for instructional staff to engage in learning communities. Incorporate early alert technology and holistic advising to support student success. Advocate for proposed capital outlay projects, such as the College of Aviation expansion. Develop appropriate financial support strategies to assist graduate students. Improve data systems to monitor, review, and assess graduate student success. Strengthen the capacity of graduate programs to educate and graduate a diverse population of contemporary learners in a timely manner. Promote cross-discipline learning and research opportunities to enhance the educational experiences of graduate students. Provide relevant engagement opportunities and student support resources to meet the unique needs of graduate students. Expand and optimize WMU’s recruitment and delivery of educational opportunities to new, targeted demographics and strategic geographic regions. Implement a comprehensive enrollment management plan to maximize program capacity and achieve academic program goals. Maximize use of technology to increase convenience and expand boundaries for delivery of degree programs. Engage in new, non-traditional pathways to degree completion. Develop efficient mechanisms to gather and distribute faculty, staff, and student scholarship and discovery data. Establish clear expectations for faculty engagement and support of student research and creative activities. Strategically align staff and faculty expertise and strengths with available resources at the unit level to promote learning and discovery. Align support resources to increase discovery activity for all faculty in all disciplines. Goal #3: Progress as a Carnegie-classified higher research doctoral university that advances new knowledge and value-added discovery. Expect University centers and institutes to stimulate externally funded research and creative activities through interdisciplinary discovery, encouraging innovation, and widespread dissemination of scholarship. Support implementation and accountability of discovery communities to increase both the aggregate and per-capita level of research activity supportive of a Carnegie-classified Doctoral University: Higher Research Activity. Foster a culture of collaboration by developing effective infrastructure for faculty and staff to share their expertise and research across disciplines and regional research entities. Enhance the delivery of doctoral programs to increase the number of doctoral degrees awarded. Enhance information technology and data management infrastructure to support research. Foster investment in student, staff and faculty innovation, infrastructure and entrepreneurism. Actively support technology and knowledge transfer in partnership with WMU spin-off companies, industry, and community. Develop curricular programs that will contribute to incumbent and future workforce needs. Establish engaged scholarship systems to support research likely to impact public policy and community-based endeavors. Expand mechanisms for the dissemination of research and scholarship to stakeholders and the community at large. Continue to leverage resources through effective relationships with WMed and WMU Cooley, local affiliates, and global partnerships. Develop and implement a renewed Campus Compact Action Plan, dedicating the University to work with other institutions to advance the public purposes of higher education. Review and improve outreach practices and policies to achieve the Carnegie Community Engagement Reclassification by 2020. Operationalize a unified vision to support the University’s public engagement mission. Develop rigorous, systematic evaluations of all outreach and community engagement programs to increase impact in conjunction with community agencies’ planning initiatives. 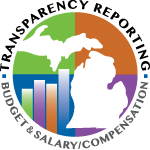 Know, measure, tell, and increase WMU’s economic impact and social value. Assist all students with developing meaningful connections in their local and global communities. Foster a shared understanding of University-wide definitions pertaining to diversity, equity, and inclusion. Improve accountability to inform and advance equity, inclusivity, and accessibility, at every level of the University. Ensure viable, safe avenues to report instances of inequitable behavior. Understand and work to remove systemic institutional barriers for recruitment, retention, and degree completion of students from historically underrepresented groups in higher education. Employ institutional strategies so that hiring and retention practices encourage diversity in all its forms. Continue to create opportunities for affinity groups to gather and develop a sense of community. Expand educational and cultural programming to increase equity mindedness of all stakeholders. Support professional development opportunities for all stakeholders that promote global understanding and cultural humility. Promote human resource practices and programming that meet the needs of WMU employees to enhance workplace engagement. Implement changes in student service facilities that create a barrier-free, welcoming environment for a diverse population. Provide services and support networks that function to create a sense of place that provides a viable setting for human interaction, communication, and cultural development. Identify and appropriately resource staffing levels in critical areas to support quality learner-centered service. Offer and encourage participation in professional skills training to increase employee retention, advancement, and workplace satisfaction. Develop and maintain a motivated workforce through leadership by example and recognition for contributions that exceed expectations. Support strategies to foster faculty, staff, and student responsibility as active participants in University governance. Expand use of a resource-effective integrative review processes for all programs and services. Leverage multiple revenue streams to support clearly defined University goals and responsible budget forecasts. Expand and improve integrated data-driven information systems for decision-making. Promote transparency and University accountability in all institutional systems. Prioritize the maximum utilization of facilities and fixed resources in campus planning and scheduling. Develop proactive practices to meet the pace of change in emerging technology. Develop regionally competitive tuition models for academically qualified students. Utilize innovative and competitive financial aid strategies to maintain the fundamental principle of providing access to an affordable, quality education for all admitted students. Implement new strategies at the program level that enhance yield of admitted students. Incorporate effective forecasting models that anticipate and respond to changes in regional, national, and global factors in managing enrollment. Maintain a leadership position in conservation efforts to reduce energy consumption and costs. Work with community partners to recycle, reuse, and reduce waste. Increase the number and scope of green programs that maximize return on University investment. Increase opportunities for sustainability education. Promote responsible acquisition and use of natural resources, increasing green space on campus. Develop and execute an external and internal communication plan that effectively engages all stakeholders and reflects the shared narrative of the University. Define and disseminate a coherent and consistent brand identity to local, national, and global markets. Engage in new digital strategies that increase access to all stakeholders and advance the recruitment of prospective students and families. Implement a transformational wayfinding plan to improve navigation to and within WMU campuses. Objective 5.5: Community support, advocacy, and philanthropic giving advance WMU. Provide services that effectively connect and engage WMU’s global network of alumni and friends as advocates for the University. Raise external support for student scholarships, named professorships, innovation infrastructure, capital projects, and other University-identified priorities. Utilize WMU’s strategic plan and University-wide accomplishments to articulate WMU’s narrative and value to potential donors. Engage in development and promotion communication to increase donor retention and employee annual giving. its long term goals and objectives. The Gold Standard 2020 will begin the implementation process by focusing on how the challenges may impact achievement of the University strategic goals.